Helijet International and the Pacific Salmon Foundation (PSF) have created a partnership to generate donations to help the PSF fund wild salmon restoration projects in the Strait of Georgia and on Vancouver Island. 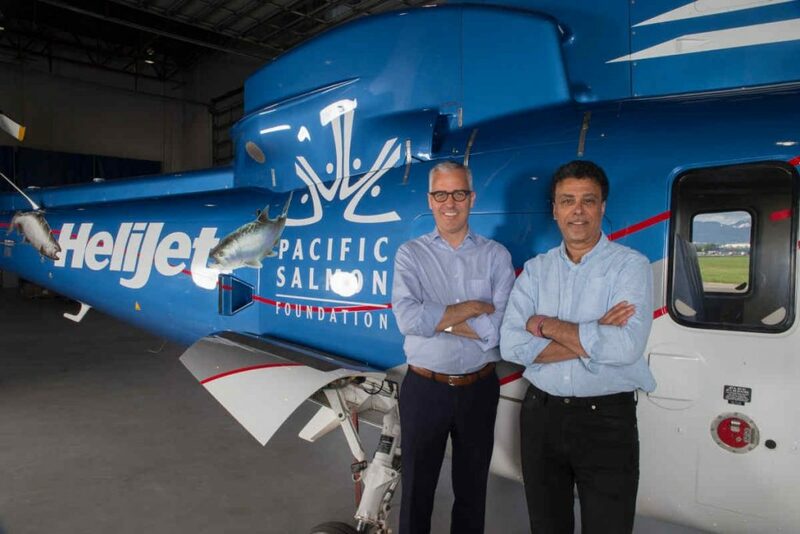 “Helijet has been a proud supporter of PSF for the last 15 years,” said Danny Sitnam, president and CEO of Helijet. “Like many other British Columbians, we depend on the beauty and natural resources of BC’s coast for the longevity of our business, which is linked to the success of our fishing lodge clients and the satisfaction of their guests. The partnership will generate an annual donation based on the number of one-way flights sold on Helijet’s scheduled passenger service routes between Vancouver and Nanaimo harbours. Helijet explains the program could see annual donations reach $24,000 per year. This September, Helijet donated a helicopter and pilot for an egg-take on the Chuckwalla and Kilbella rivers in Rivers Inlet. The company explains eggs and milt were collected from returning Chinook in both rivers and flown to the Percy Walkus Hatchery also in Rivers Inlet. The fertilized eggs, explains Helijet, will become approximately 130,000 salmon fry that will be released back into the rivers to enhance those stocks. The rivers were identified as a top priority by a steering committee dedicated to Rivers Inlet recovery. “As a life-long advocate of environmental stewardship, with a passion for salmon conservation, it’s inspiring to see a company like Helijet support projects that contribute to the restoration of our wild salmon population,” said Rick Hansen, Founder and CEO of the Rick Hansen Foundation.